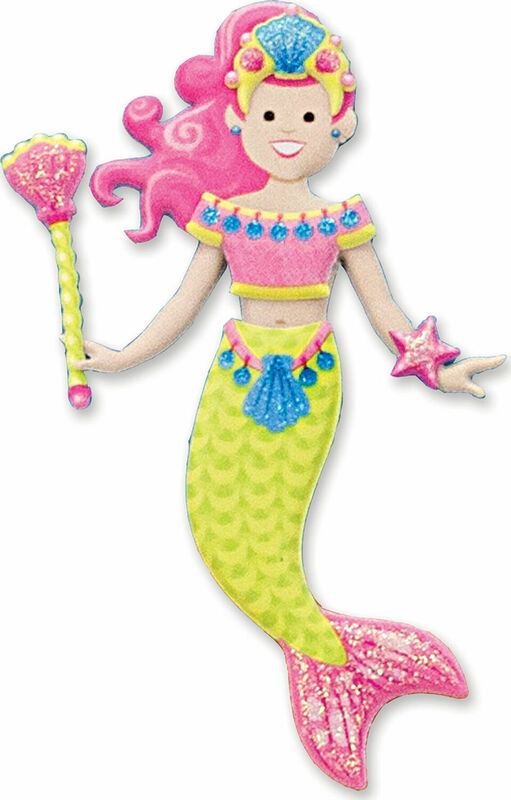 Imagine a glittery mermaid grotto-then bring it to life with this enchanting sticker set! 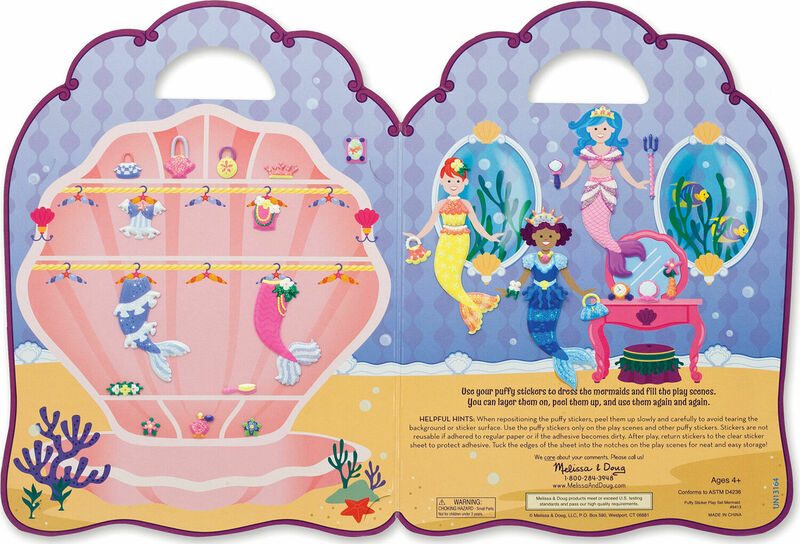 A double-sided, glossy background board offers lots of space to layer and arrange the 65 reusable puffy stickers: A seashell closet has room for 10 glittering outfits; a trio of dress-up mermaids is ready for a makeover in the pretty purple dressing room; and a panoramic sandy seafloor sets the stage for unlimited undersea fun. 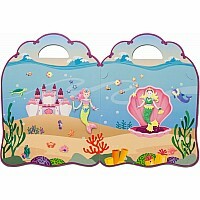 Just add the shimmering puffy stickers to fill in the backgrounds, dress the mermaids, and create an original scene! 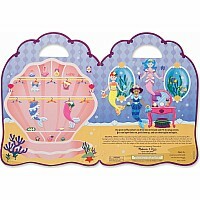 The 65 stickers are easy to place, layer, and rearrange, so the storytelling possibilities are endless. 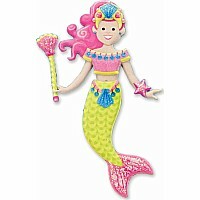 And the gorgeous dress-up stickers mix, match, and layer in any combination, and fit all five of the dress-up mermaids. 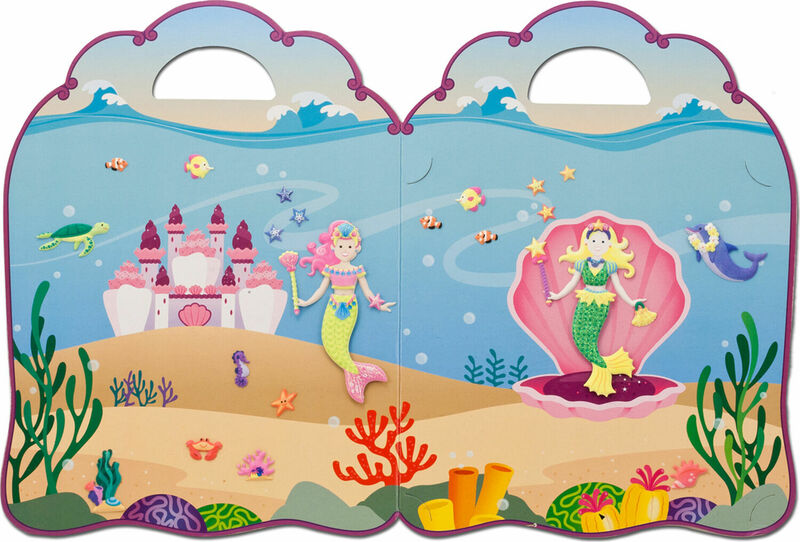 When playtime is over, simply fold up the sturdy background board store it all away-then just grab the diecut handle and take this fantastical sticker set to go. Measures approximately: 0.20 x 8.20 x 11.00 inches..